Tickets include a copy of the 10th Anniversary Edition of Hotel on the Corner of Bitter and Sweet. This event is a partnership between Penguin Random House, Carroll Community College, A Likely Story Bookstore, and Carroll County Public Library. This special author event kicks off the Penguin Random House Book Fair. Click here for full details on the Book Fair. 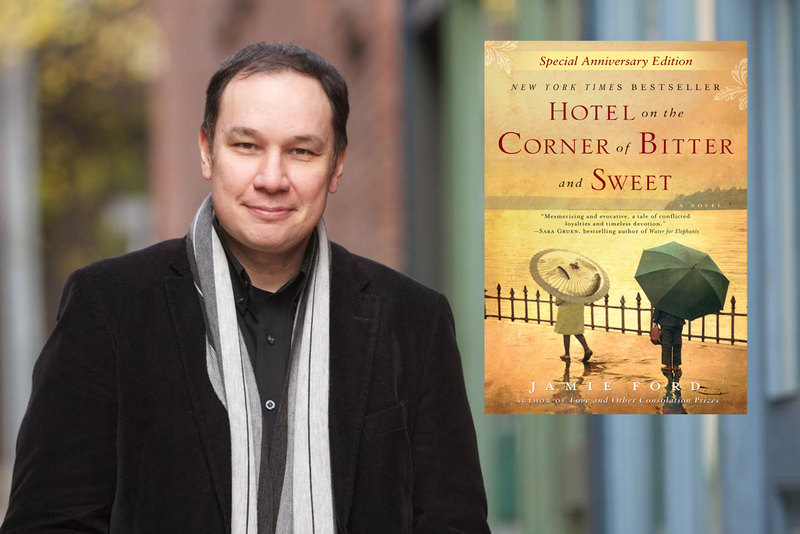 The son of a Chinese American father, JAMIE FORD is the New York Times bestselling author of Love and Other Consolation Prizes, Songs of Willow Frost and Hotel on the Corner of Bitter and Sweet, which won the Asian/Pacific American Award for Literature. Having grown up in Seattle, he now lives in Montana with his wife and children.